Perhaps the terminologies of prebiotics and probiotics weren’t there but he knew well the importance of maintaining a healthy gut flora. It is true to what Hippocrates stated that all disease does begin in the gut. This is why a major portion of the body’s immune systems resides within the gut. This enables the immune system to fight against many forms of pathogens before they can attack and spread to other parts of the body. But to have a healthy and strong immune system you will need to maintain a healthy gut flora which only probiotics and prebiotics can do. When the gut is not healthy the immune system will become weaker. When the gut and immune systems become weak and out of balance the pathogens have an open road to roam freely along its destructive path. Pathogens that have taken control due to an imbalance can not only create intestinal issues but if allowed to roam outside of the digestive system can run havoc which can go from creating dis-ease to becoming a disease in varying forms and types. This can have a drastic effect on the rest of the body and your life. That is also why you will find probiotics and prebiotics working hard to maintain a healthy intestinal flora. Prebiotics may sound similar to probiotics; however, they have an entirely different functional role in the body particular when it comes to your digestive health. So what is the difference between prebiotic and probiotic? Probiotics are live microorganisms found in and around the body but mainly in the gastrointestinal tract. Probiotics, also known as the good bacteria helps to maintain the balance of the gut flora while assisting in many other ways in bringing back health to the rest of the body all from within the gut. Fermented foods such as Yogurt, Sauerkraut amongst many others, contain probiotics beneficial to your gut flora. For various reasons, not everyone can take dairy products or fermented foods rich in Probiotics. In this case, then taking probiotics as a supplement may be more beneficial. This can be found in capsules, tablet or powdered form. Below are some reasons that can cause an imbalance. • Ever been overseas and had the runs (diarrhoea) due to a result of eating certain foods in foreign countries? • Overuse of medication. Antibiotics are a great example as they destroy the good and bad bacteria. • The beneficial probiotics help to enhance and strengthen the body’s Immune system. • Replace good gut bacteria destroyed from regular or overuse of Antibiotics. • Assists in reducing diarrhoea, (a common problem when using Antibiotics) particularly in Children. As you can see, Probiotics play an essential and vital role in maintaining the balance of the intestinal flora. Simply put “Better gut better health”. Probiotics works on helping to maintain the health and balance of the gastrointestinal tract. However, in order for Probiotics to work efficiently and perform its many roles, it needs its own nourishment. While probiotics are live microorganisms Prebiotics are not live as they are a non-digestible dietary fibre. Due to its non-digestible nature, the body cannot break down the dietary fibre within the small intestine; instead, as it passes down into the large intestine it is here that the dietary fibre is broken down by way of fermentation by the gut microflora (probiotics). This now becomes the food and fuel source for the probiotics already within the intestinal gut flora that helps to increase the growth of beneficial bacteria such as Lactobacilli and Bifidobacterium. These two beneficial and very important bacteria are just two of the most commonly known forms found in many fermented foods and supplements. • Prebiotics feed and fuel probiotics to fight against pathogens (bad bacteria) from invading and trying to cause harm to the GI (gastrointestinal tract). • Better gut health, better body health and wellbeing. Below you will find many foods listed as “Raw”. The reason is that many raw advocates state this is that cooking diminishes the amount of fibre and therefore raw is best. Bear in mind that only around 10% of the fibre may be lost during cooking. Most probiotic foods can be easily eaten raw; however many people may find eating raw green bananas and asparagus for example quite unappealing in its raw state. However, not all is lost, as these can be added to other greens and made into a smoothie. Asparagus, for example, can be blanched or steamed to the point where they are easily digestible yet retaining a firm state. There is nothing wrong with mixing raw prebiotic foods with some cooked ones. So if you prefer some cooked, then mix and match with other probiotics that are raw. That way you can still benefit your health and enjoy the foods your way. As a prebiotic, Garlic is fantastic for digestive health but one that has so many other benefits for overall health. Garlic has many properties such as being an antioxidant, antifungal, anti-inflammatory and antibiotic. Garlic can help to boost the Immune System, contains vitamins and minerals, and helps to reduce blood pressure along with helping improve Cholesterol levels. Rich in Fibre along with Vitamins A, C, E and K, Asparagus help to fight cancer due to its rich source of Glutathione which helps to break down carcinogens and other free radicals known to cause cancer. One great benefit of eating Asparagus especially those suffering from oedema (accumulation of fluids in the body’s tissue) as it acts as a natural diuretic be helping to increase urination thus releasing the excess accumulation of fluids. 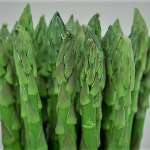 For those who cannot or are uncomfortable eating asparagus raw, know that you can have it blanched or steamed to soften the asparagus but ensure it still has some firmness. You could also add it to other greens when making a smoothie. 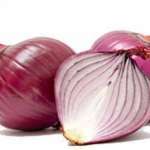 Although any onion variety can be eaten raw, however, compared to the brown and white onion; the red onion (being a sweeter taste) would be the best of all as a raw food. 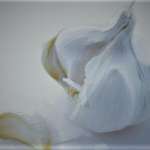 Like Garlic, onions have many health benefits on its own along with being prebiotic. They are a good source of fibre for a healthy digestion, a good source of Vitamin C, helps to reduce and fight against the free radicals that can create many diseases including cancer. The anti-inflammatory properties can help to clear the skin along with helping to relieve coughs and colds along with helping to clear the skin. Should you have those tears streaming down your face when chopping onions, one way is to breathe through your mouth rather than your nose? It does work try it and let me know how it went. Do you have other ways that can help while chopping onions? Place your tips in the comments below. 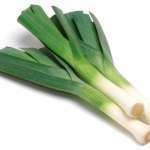 Leeks have the mildest flavour compared to the rest of the onion family it is part of. Like Garlic, Leeks have sulphur compound called allicin where many health benefits can be found. When the allicin is digested in the body sulfenic acid is produced which works on neutralising many free radicals trying to create disease within the body such as cancer-causing properties. Another property that leeks produce is kaempferol with helps fight against various cancers. Chicory root helps to enhance not only the body’s defence system but due to its rich content of antioxidants is able to fight against free radicals known to attack the liver. 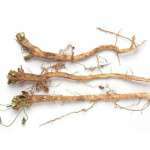 Chicory Root has a coffee like flavour however as it contains no caffeine it can make a great coffee substitute. This is of great benefit for those who may love their coffee but have issues with caffeine. Chicory consumption increases the flow of bile which in turn helps to purify the blood and liver. Chicory can be a great help and support in fighting against Salmonella poisoning. If you are suffering from some form of food poisoning ensure you seek medical assistance. 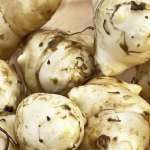 Sunchokes are also known as Jerusalem Artichokes are more similar to root vegetables such as potatoes and are not artichokes nor are they from Jerusalem. Sunchokes help to promote iron absorption from foods as they are loaded with Vitamin C.
Did you know that there is more potassium in Sunchokes than Bananas? The potassium is vital for a healthy heart and enables the muscles to function properly along with your nervous system. This food will also benefit those who are diabetics and they help to control the sugar level along with keeping the blood pressure stable. Due to their antioxidant properties apples are beneficial for your heart and brain function. Apples are a wonderful prebiotic as they are rich in a dietary fibre called pectin which accounts for around 50%. It is this fibre that will feed the good gut flora while helping to reduce or stabilize the blood serum cholesterol level. 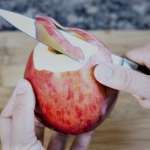 Eating apples due to the pectin qualities will also give you that full feeling. This is great news for those suffering from diabetes, those dealing with weight loss, along with others wanting to balance their digestive system. Dandelions once considered as an unwanted weed found growing in gardens and lawns. However, nothing could be further from the truth with this prebiotic powerhouse of a plant. Nowadays you will find Dandelion in salads and caffeine-free teas. Why because they are beneficial not only as a prebiotic for your digestive system but also great for your health in general. 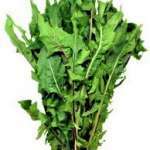 Dandelion greens contain Vitamins C, E, and K, along with some b Vitamins beneficial for your health. They also contain Calcium (important for your bones), Iron (beneficial for our Red Bloods Cells) and Potassium (which helps to regulate heart rate and blood pressure). Not bad properties for a plant once seen as a weed. The added benefit of using Dandelion leaves. Dandelion leaves when used as a tea is a known natural diuretic. As a result, this will help to increase the urinary frequency that can help to flush any unwanted properties held within the body. This action is a great benefit for those who may have retention issues. Maybe not the tea you want to have just before going to bed due to the frequency visits to the bathroom then again if you have retention issues it is worth it do you think? As a natural diuretic, this detox can also be very beneficial for the liver as it can help flush out any toxins that may be causing your liver to be sluggish. Some may say but the liver gets rid of toxins itself why is there a need for a detox drink? Yes, the liver does rid the body of toxins as its natural process, however, due to the very different lifestyles; poor choice of eating habits along with the many medications taken these days places an overload on the liver. A sluggish liver can also create dis-ease to the body such as fatigue, stress and even headaches due to the built-up toxins within the liver and at many times it cannot work at proper capacity due to this overload. Taking detox drinks such as Dandelion tea can only help the liver work more efficiently due to the added support. It makes you wonder how many other plants considered a weed that is packed with many potential benefits to health. Although the thought of eating green bananas may not be your cup of tea so to speak, the benefits as a prebiotic are worth it. Green or unripe bananas contain high amounts of resistant starch which is an important essential within the prebiotic scenario. Resistant starch contained within bananas works on the same principle as many of the dietary fibres in the previous foods mentioned above. The small intestine cannot break down this resistant starch so it must then enter the large intestine where fermented by the good gut bacteria and used as fuel and food. Due to the prebiotic fibre, this helps to increase and multiply the good gut flora. If proper intake can be maintained a reduction in Bloating can result. Green bananas can help with insulin sensitivity which is fantastic news for Diabetics. The potassium in bananas is beneficial to cardiovascular health which can help maintain normal blood pressure and with an improved heart function. Pectin found in bananas gives you increased satiety, much like apples do. In other words, it can give you a fuller feeling thus giving you a reduced appetite. A reduced appetite can help many who are looking to lose weight either via a diet or working on maintaining care of not overeating for the sake of it. Having green bananas is of great benefit to diabetics, those who may be in the obese range, or those wanting to lose weight. 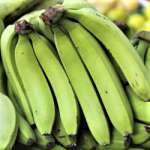 The reason for this is that as the banana ripens and changes from Green to yellow to yellow with black spots the resistant starch breaks down into various sugars such as (sucrose, glucose and fructose) thus giving a higher sugar content as it further ripens. This is why ripe and further ripen bananas are not the best foods to take if you are seeking to lose weight or looking for your blood sugar level. However, it does not mean to say you shouldn’t eat ripen bananas either as they have other benefits that green bananas don’t have. The more a banana ripens the higher antioxidant and anti-cancer properties it creates. These properties help to fight against abnormal cells that may lead to certain cancers. So there you have it on what is the difference between prebiotic and probiotic. Do you take prebiotics and which ones do you prefer? How have they benefited you? I would love to hear your intake so please place your comments below remember Caring is sharing. I found this very informative and interesting. As a person who has been heavily and long term exposed to asbestos (along with most of my family and many friends) I am very interested in keeping my immune system strong – I believe I started learning about all this in the nick of time as I was presenting with suspicious symptoms a few years ago, but have reversed all that with a much better attention to my diet and learning keenly all the time. However, I have not understood the relevance of prebiotic to probiotic foods until now. Thanks so much. Thank you, Katharina, for your visit and comment. You are most welcome glad this post gave you some understanding of not only the benefits of probiotic foods but the added importance and benefits of prebiotic. Trust your health is growing stronger each day. Will send some healing energy your way should you wish. As for attention to diet, this is very important even more so in using prebiotics and probiotics. Have you tried some fermented foods which work well in healing the gut flora? I wrote a post here on the fermented foods again with the probiotic benefits. Wishing you well in all you do and may the health get the boost it needs to keep you flourishing well. So few people in the US have any idea about these concepts and they go through life popping anti-acids instead of “fixing” the problem – good message here. Thank you and welcome to my site. Yes, unfortunately, it is not just the USA looking for that quick fix with various issues, in this case, maintaining a healthy gut flora. If more people could be aware of What are Probiotics for and how important it is to maintain a healthy gut flora there would be less of a need of such anti-acids and more. Perhaps eating more beneficial foods such as prebiotics to boost the probiotics along with having some of the best-fermented foods available as well.